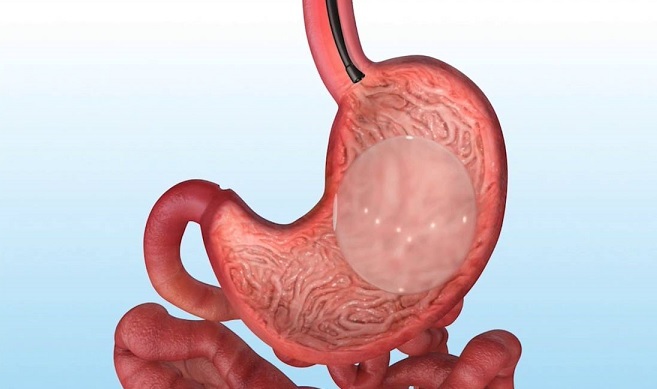 The intragastric balloon procedure uses a simple saline-filled silicone balloon to help obese patients lose weight. Dieters who choose this non-surgical weight loss procedure benefit from a feeling of fullness and reduced cravings for food. This is all that most obese dieters require to reform their lifestyle trends. After years of weight gain, it is difficult to abruptly change your eating and other lifestyle habits overnight. Yet, expedient results motivate patients. They may notice that others treat them with greater respect and that they have a higher sense of well-being when they see results from the door. Thus, the intragastric balloon procedure provides effective results over an expedited period. The philosophy behind the intragastric balloon therapy is that the stomach of an obese patient has stretched too far and in many cases is making it hard to resist overeating. If a balloon is temporarily inserted into the stomach, instead of food, patients can reduce cravings and lower calorie intake. Once they complete treatment, they can continue living the new healthy lifestyle and metabolize calories quicker. When is the Intragastric Balloon Procedure Advisable? If you have received a formal diagnosis of obesity from your doctor, this means that you have a Body Mass Index (BMI) between 30 and 40. If a high percentage of this BMI is due to body fat and poor muscle quality, then you may qualify for the endoscopic balloon procedure. In some people, BMI numbers can be misleading because they have high bone density. 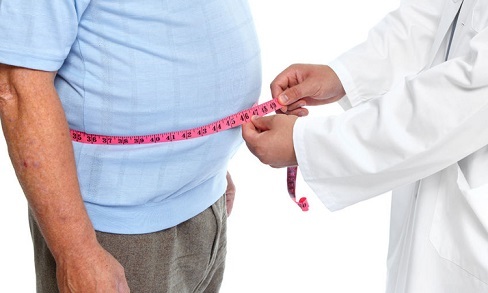 You should not rely solely on your BMI to opt for the procedure yourself if you are otherwise healthy. For those who qualify, the balloon allows patients to make healthy lifestyle changes. It changes hormonal reactions initiated in the stomach (that trigger appetite) and increases the duration of time required to digest food. The biggest benefit of this procedure is that it does not require surgery. If you are suffering from other comorbidities due to your obesity such as diabetes, hypertension, heart disease, or sleep apnea, the endoscopic balloon procedure can save your life. – This is the traditional silicone balloon. The time of permanence in the stomach is 6 months – It is normal and expected that the patient loses 12 to 15 kilos with nutritional accompaniment. – This is new in the health sector which is also silicone. The time of permanence in the stomach is one year. However, it is adjustable, so during the treatment, it can increase in volume to produce greater satiety in the patient and help them with the weight loss. It is expected that the patient will lose up to 25 to 30 kilos with nutritional accompaniment. The beauty of the intragastric balloon procedure is that it is completed in half an hour under light anesthesia. The sedation will allow your body to relax while your English-speaking doctor installs the saline-filled silicon balloon within your stomach. She will first use a flexible thin hollow tube called a catheter to lower the balloon into your stomach. An endoscope is then inserted. The endoscope is like the catheter but features a high-resolution camera fitted on the end to create real-time video footage of your internal stomach. Using the video feed, the doctor fills the silicon balloon with the ideal volume of saline and seals it shut. After a few hours, the anesthesia wears off, and you return home. The following post-procedure regimen is standard treatment. In 6 hours, you will be able to consume small volumes of liquid. As your stomach adjusts, you must remain on the liquid diet until the second week: cream soups, shakes, milk, smoothies, etc. At the start of the second week, you can begin eating soft foods: yogurt, gelatin, mashed potatoes, well-cooked vegetables, bread, pasta, cheese, etc. By the third week, you can start to incorporate harder foods like meat and raw vegetables into your diet. The specialist doctor will then provide you with ongoing instruction on how to alter your diet and lifestyle for obtaining maximum benefits. After six months, the balloon will be removed in the same manner that it was installed. Continue living your new lifestyle for progressive improvement. If the intragastric balloon therapy is something you may be interested in, please contact us to ask any questions you may have, or set up a consultation appointment with our specialist.